A fuller is a person whose profession was to clean, thicken and whiten freshly woven cloth. Cloth at this time was typically woolen. To create it, the fur was harvested from the animal and then spun into yarn. Once spun it was then used to weave the cloth. Often this yielded a material that was full of the animal's natural oils, which attracted dirt and impurities. The wool fabric was then passed on to a fuller who began the labor intensive process of cleaning, bleaching and felting the fabric. This was accomplished by first wetting the fabric and then using fuller's soap, believed to be an alkali derived from the ashes of burnt plants. The fuller then begins to either beat or walk on the fabric for quite some time over stones with frequent rinsing to remove the undesired parts. Fuller's soap is used during this process. 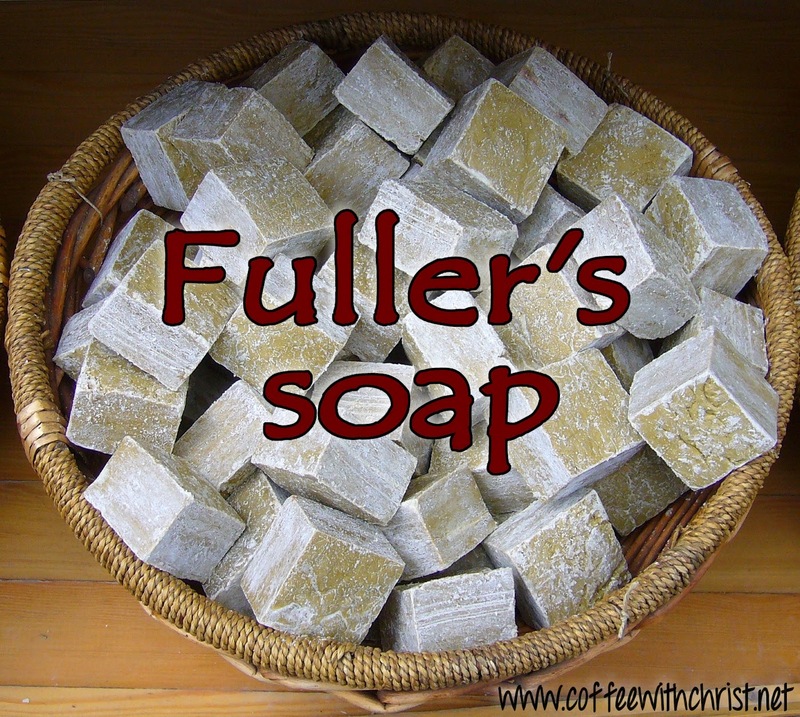 It is believed that fuller's soap was derived from the ashes of certain plants once burned, creating an alkaline substance. Alkalies are caustic if concentrated. After walking on and/or beating the material to an even, felted consistency it is then stretched and shaped on frames and allowed to dry. So, what is the point here? Actually it isn't all that different than the one often made about the refiner's fire- the process in which we become pure, what we were created to be, is not an easy one. In this instance, we can expect to endure caustic situations, to feel beaten down, to be worked over, stretched out, and hung out to dry. Not a pleasant process at all. However, the end result, a beautiful, strong, clean, consistent and desirable product, is well worth the hardship to accomplish it. An interesting side note - a fuller's job was not done inside the city. This was for two reasons. First being that the process itself was not pleasant smelling, especially during Roman times when urine was often used as a part of the cleaning/bleaching process. Second being that it required copious amounts of water. Our preparation isn't much different. It occurs outside of our home city (heaven) because it is indeed a very dirty and distasteful process. And our purification also requires copious amounts of living water - Jesus. We can't do it on our own. It is only through Him that we can become pure. I don't know about you, but I'll never be able to look at a load of laundry the same way again!